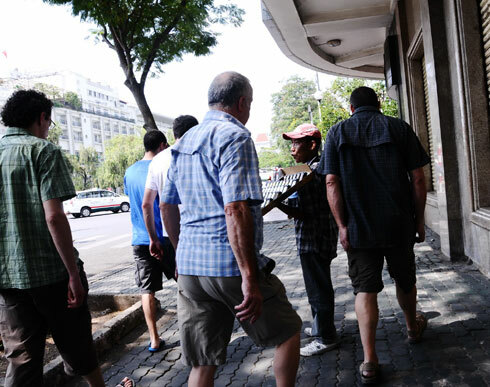 Blocking their way, holding back, clinging to purchase goods everywhere are the problems of foreign visitors in Ho Chi Minh City for many years. 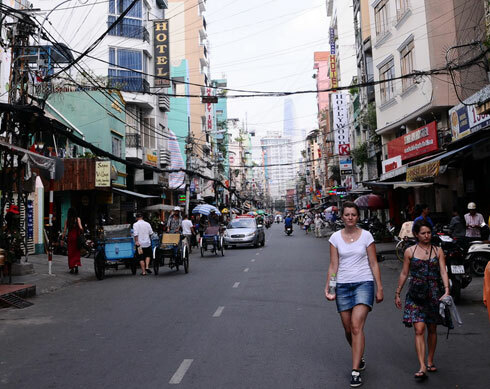 In recent years, the number of foreign tourists to Ho Chi Minh City has been on the rise. 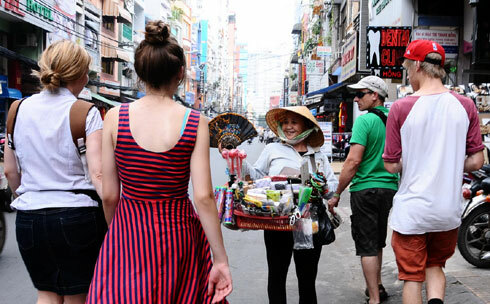 The experience of street culture and the change of the city is the attraction to foreign visitors. 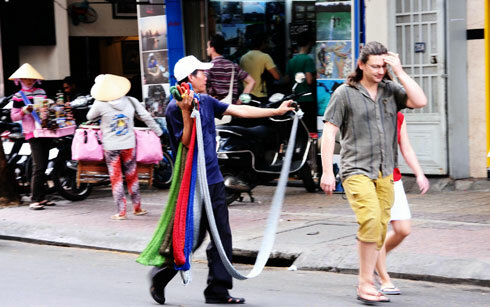 According to many foreign visitors, in addition to food, interesting traffic, souvenirs in Vietnam are not attractive. 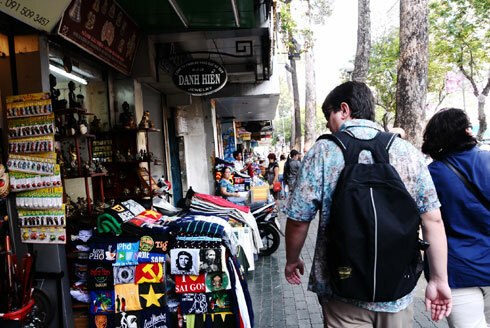 Besides clothing, key chains, street vendors on Bui Vien Street, Ben Thanh market, etc. often offer products originating from China, such as lighters, wallets, and phone pouches. 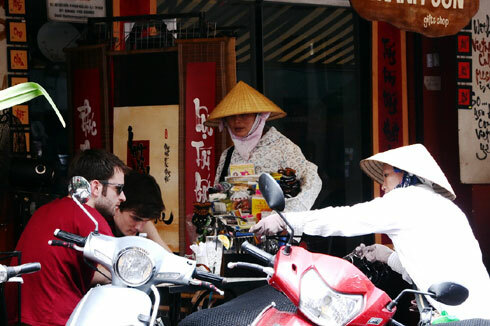 At the areas which have many foreigners, there are a big number of vendors. 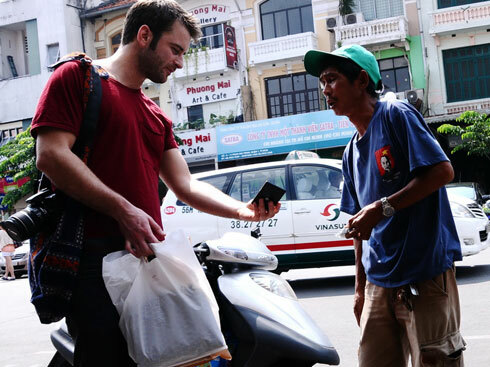 A Chinese wallet worth $2-3 is offered for $5-10. 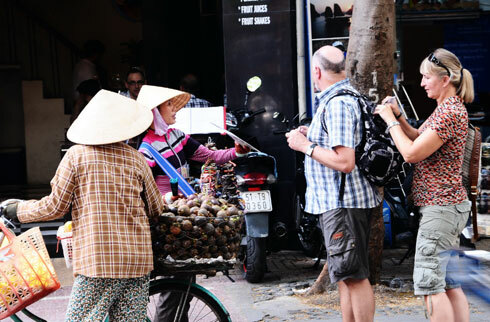 Vendors are not afraid to chase visitors who are sightseeing to ask them to buy something, although they do not need them. Even when foreign visitors sit in a restaurant, they are not “spared” by vendors. 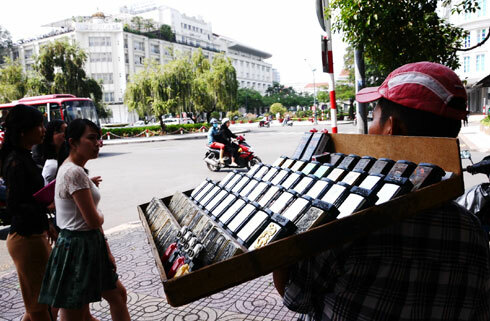 At the online conference on the implementation of cultural tourism on January 10, Deputy Prime Minister Nguyen Thien Nhan said that the local governments must control street vendors to not let them unsettle tourists.